Dave has a new intern to help him with his volunteer activities in the park. We would like to welcome Sam to the CRNRA. Many of our regular volunteers preform specific jobs in the park every week, these jobs may include fee collection, volunteering at camps or staffing the visitors center. 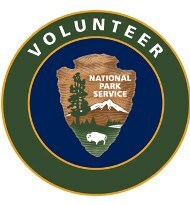 For these volunteers we have added a new way for you to report your “Volunteer Job” hours. We have added a new form that allow for you to enter your hours that are over 24 hours. Please note that yo must be logged in to access this form. This form is not designed to replace the normal method of entering your VIP hours.